What tempts a band to use “beach” as an adjective in their name? A question that may forever go unanswered. 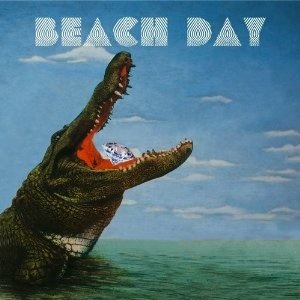 Hollywood, Florida’s Beach Day are a young trio, who play sunny surf garage rock inspired tunes. Lead vocalist/guitarist Kimmy Drake commands each track showing off her vocal range and ability to instantly draw in the listener. The band use a big ’60s pop influence at the base of their songs, similar to what Tennis has perfected. These sweet melodies and harmonies are also met with a faster pace at times not unlike the Dum Dum Girls. The song “Beach Day” begs to be played loudly on a beautiful hot summer day. “Seventeen” is a more subtle ballad, that could have easily been played during high school dances in the 1960s. “Little Weird” sees the band speeding up the tempo slightly to show off there more edgier side. The most interesting track is the album closing song “We’ve Gotta Go.” The song starts off with Natalie Smallish’s thumping bass, and leads into a less sunny garage rock jam. Still possessing the catchiness of their other songs, but letting go of the sweetness and embracing their edgier side. A very solid effort of a record for a young band, that can hopefully only get better with time.